You already know I am a huge sandwich person, I swear I could eat anything sandwiched between two pieces of bread. Mmmm, bread! Yes, bread is my weakness!! Anyway I had the sandwich craving and I didn’t want Subway or an ordinary sandwich shop sandwich. I wanted something with flavor, pizzazz and something that would make me want more! Well, I did it! I think I may actually like this sandwich better than my Caprese Sandwich, which is just pure craziness!! This sandwich is one of those wing it / use up what is in the refrigerator sandwiches. I had some basil that was standing on its last legs, so I decided to make a pesto with it, and by mistake I added a tad too much lemon. When I mixed my basil into the fat-free mayonnaise, the flavor of the lemon and basil was incredible. I thought this would be perfect with zucchini!! So out came the skillet and the zucchini! I added some cooking spray to my pan, added some peppers and onions, because you know I put that stuff on everything, cooked that a tad bit then in went the zucchini. I didn’t add any seasoning to it because of all the flavor the basil had. 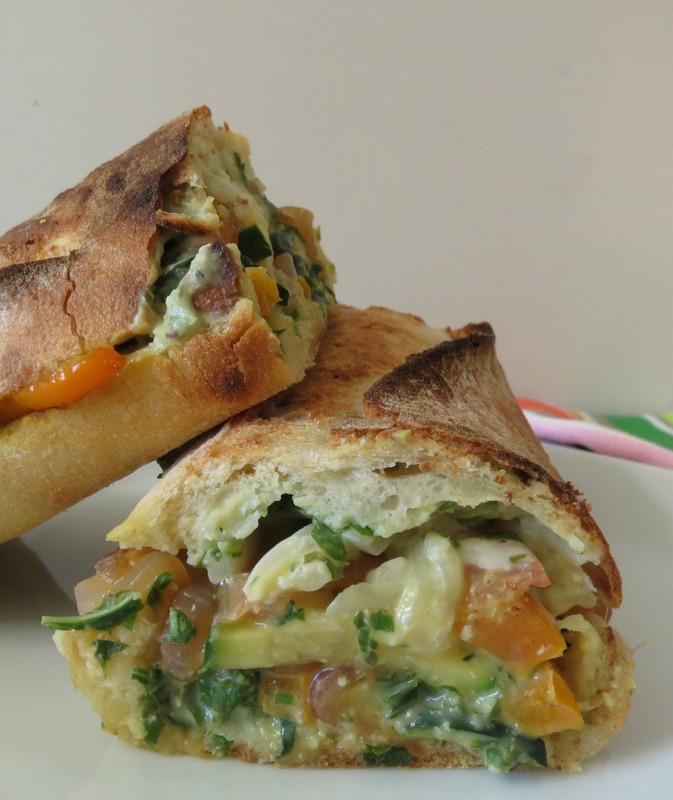 Once I cooked the veggies, I added it to my sweet french baguette. I have said this before, but I highly recommend doing this. Hollow out your bread! Just cut your bread in half and pull out all the bread on the inside so you have a nice shell, basic all your eating is the crust. Then you have a ton of room to fill all of your ingredients, plus it’s fewer calories and less carbs. I do this all of the time when I make a sandwich. On this sandwich I went from 197 grams to 128. I just saved over 100 calories! I added just a tad amount of mozzarella cheese because I didn’t want to go to high in calories. Since this was dinner I was looking at about a 400 calorie meal and this sandwich with pesto and all came in at 403. Boy am I good! 🙂 Almost as good as this sandwich! lol, just kidding! I placed my sandwich in the broiler for about 4 minutes and it was perfect! I couldn’t wait to eat it!! It’s creamy, lemony, savory from the basil and the vegetables are tender and hot. This was my perfect sandwich!! 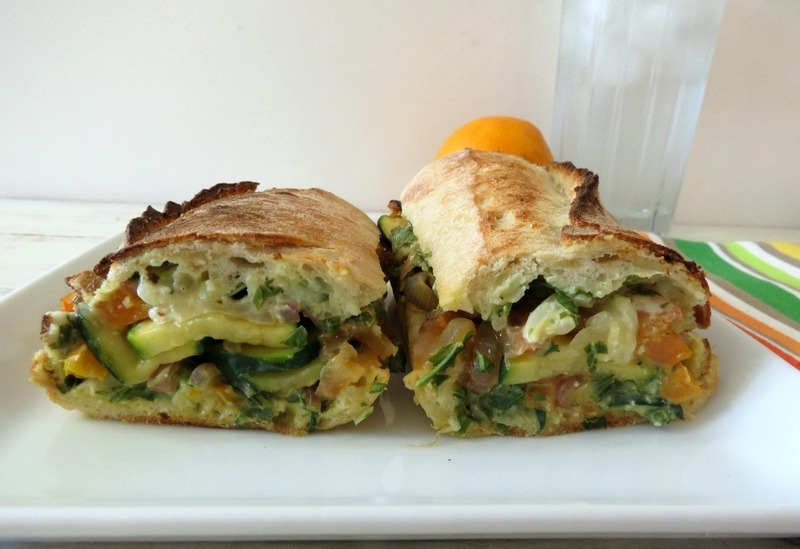 A hearty, hot, zucchini sandwich topped with a lemon infused pesto and mayonnaise mixture. To make pesto; in a mini food processor add basil, garlic, parmesan cheese and lemon juice. Process until all combined and chopped. This will not be creamy. Place pesto in a bowl and add mayonnaise. Mix until creamy smooth. Add salt & pepper to taste. Refrigerate until ready to use. Slice baguette horizontally, and carefully, pull the center of the bread so it's hollow and you have basically just the crust of the bread. Add pesto to both the insides of the bread and top with vegetables; tomato slices and top with cheese. Place in a broiler on the lower shelf; cook until the cheese is melted, about 4 minutes. I will tell you this sandwich is pretty filling and I can guarantee if you have this, you will be stuffed! I did what I could to finish mine and I wouldn’t have a problem doing that again. If you’re not too much into bread, this would also be amazing in a wrap!! Heck, serve it as a side dish with some chicken. Ok, my brain is getting crazy ideas again! I love it! i think with that said, I better get going! You can pack my lunch any day! This looks absolutely delicious! So springy! Thank you Marie! My CSA people said that zucchini is growing like crazy this year so expect a lot of zucchini. You have to love Spring! Like the mayo idea! Lemon and pesto, YUMMMMM! Looks nice and toasty too! Thank you Sophia! I really enjoyed this sandwich! It wasn’t what I expected, but it’s better!! I agree the more room for filling the better!! Ahhhh thank you Shea! I love the name of your blog! Thanks Carole for inviting me! I’m sorry I don’t have any plum recipes, but now you give me something new to try! This just goes to show you don’t need meat to make a hearty sandwich! This looks so good and I love the lemon pesto! Thanks Stephanie! This is the first time I ever had lemon pesto and I love it!!! Ohhhhh drool. I had a panini that looked similar yesterday at a restaurant and I’m still enamored, but I bet yours is even more amazing with the lemon and this bread!!! 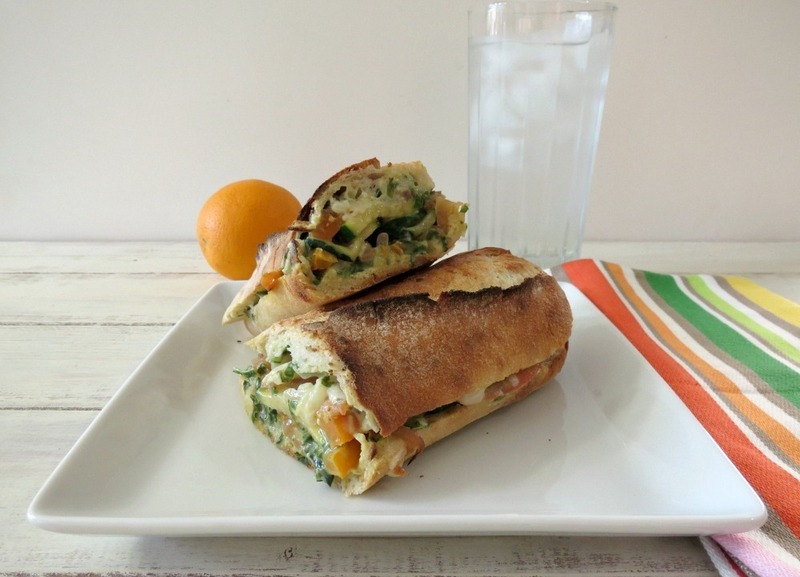 I love finding new uses for zucchini – especially because the CSA shares are about to start! 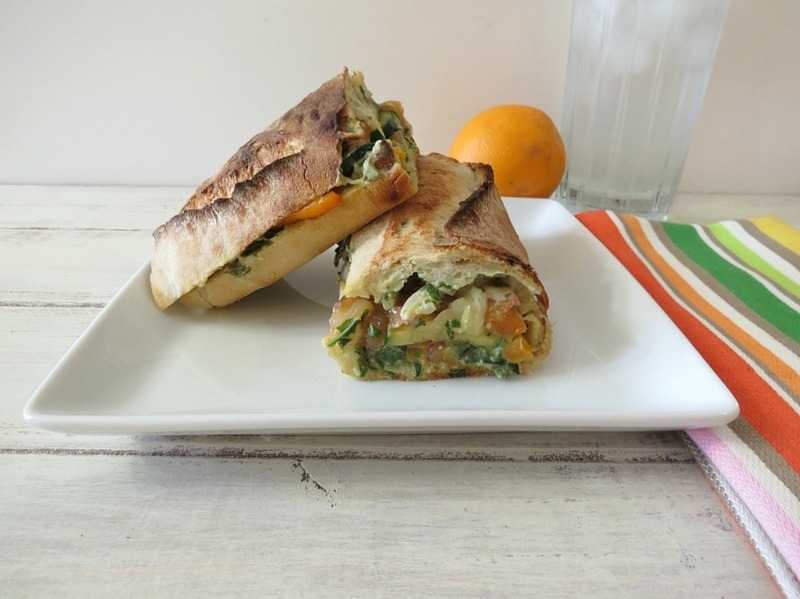 This sandwich is just so summery! I know what you mean! 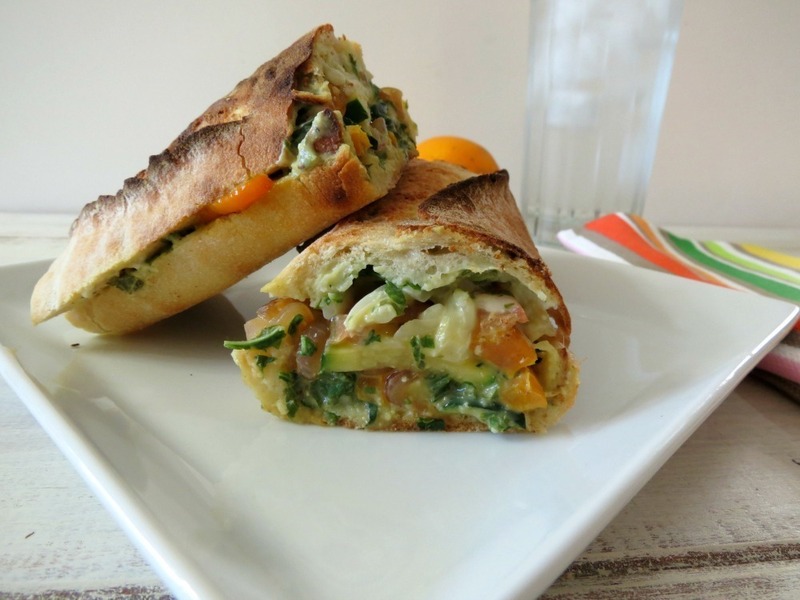 I love zucchini and I love how versatile of a vegetable it is!